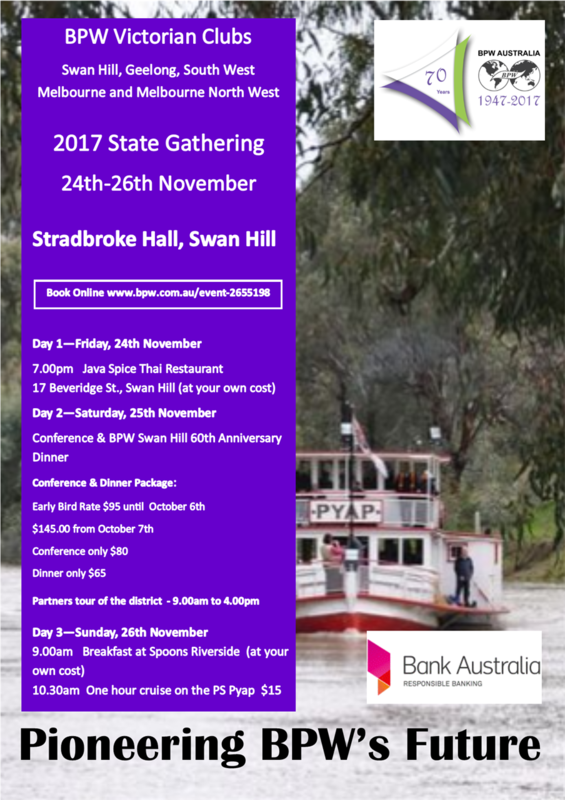 The Victorian State Gathering is a full day program of workshops and inspiring speakers. 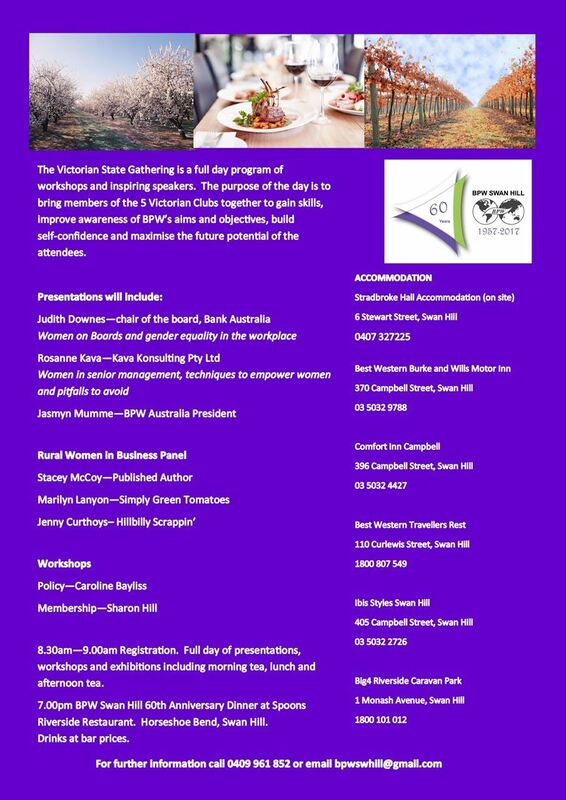 The purpose of the day is to bring members of the 5 Victorian Clubs together to gain skills, improve awareness of BPW’s aims and objectives, build self-confidence and maximise the future potential of the attendees. Please note some events at own cost. See details.